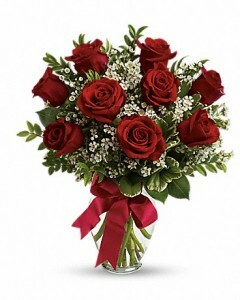 9 Roses creates a lovely vase ~ sure to please anyone! Just the right amount of roses ~ when it's just not the right time for a full dozen. We truly design our roses beautifully!